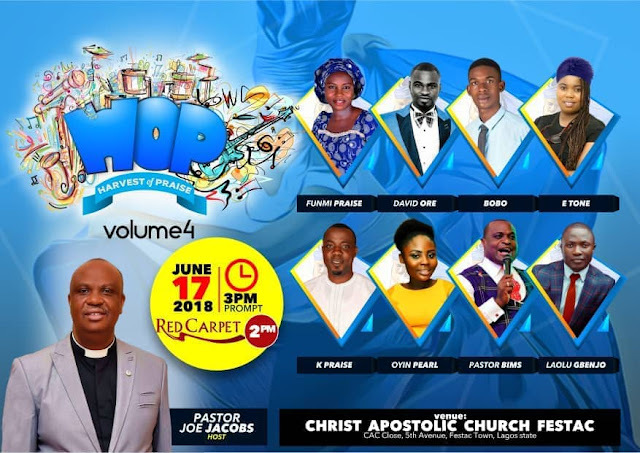 Christ Apostolic Church, Amuwo Odofin Districts' Coordinating Council (DCC) headquarters, Festac Lagos has concluded plans to hold its annual Harvest of Praise (HOP) programme. CAC NEWS gathered that the programme will hold tomorrow Sunday June 17, 2018. 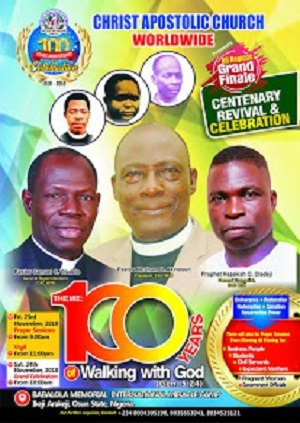 Red carpet commences by 2pm, while the programme starts by 3pm. It must be noted that this is the 'Volume 4' of the programme. 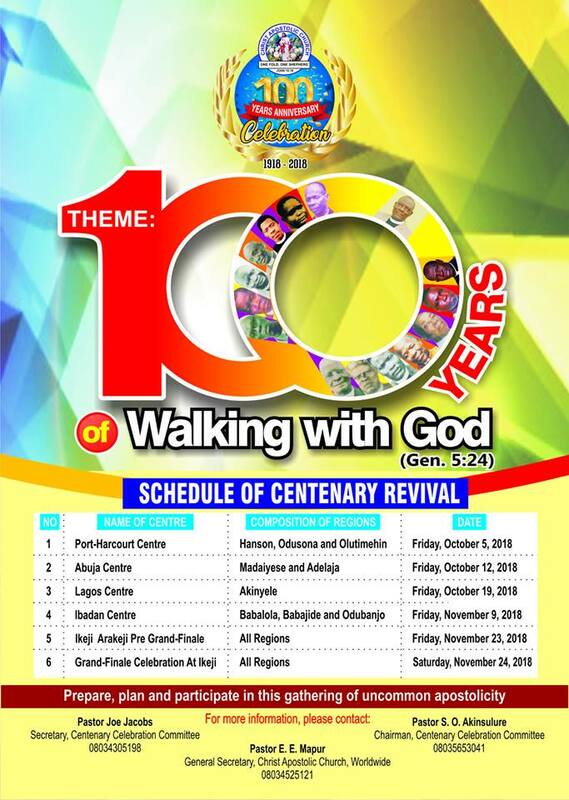 The former Youth Officer of CAC Worldwide, Pastor Joe Jacobs is the incumbent Superintendent of Amuwo Odofin DCC.